Great reissue of the 90s design from Umbro. Already used it in the gym (I' m too old to use it for a "cool look on te street" and of course it has withstood the test, as Umbro product always does. In the wake of the renaissance of the Sports Icons of the 1980’s and 1990’s – Umbro continues to grow from strength to strength introducing its third season of it’s Pro Training line which re-creates the brands most iconic periods in its history and merging it with modern fabrication and technical details to re-establish the benchmark which it has set. Umbro Pro Training embodies the ethos of Umbro by creating a collection, which is recognised in both the sporting and fashion communities alike. The Umbro Sigman Vest is inspired by the Umbro design philosophy. 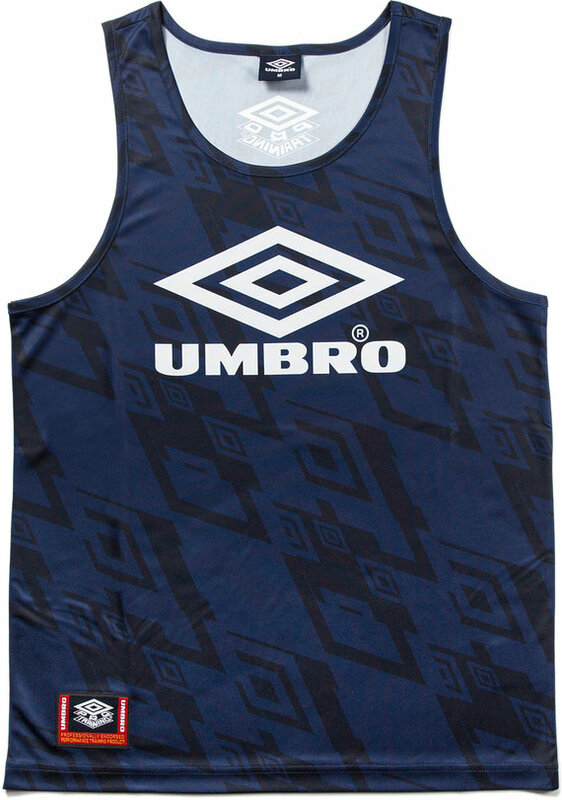 It has the classic staple Umbro logo to front chest, with a subtle all over print of the double diamond.